I truly love my cousin Randy. In the past few years he and his lovely bride have had a home and a post frame shop constructed on their farm southwest of Spokane, WA. Through a set of unfortunate circumstances Randy did not get a Hansen Pole Building. Went to do a roof repair on my shop today because a plumber did a half assed job running the vent pipe through the roof and the snow took it out this winter. As cousin Scott McCartney and I are working on it, I discover that the builder used Stitch Screws instead of regular 1 1/2 in screws to attach all the roof metal and Wall Metal. Stitch Screws are only for fixing metal to metal, not metal to wood. This Is Unacceptable !!!!!!! Now because I’m a stickler for this kind of stuff, I will probably spend weeks of my spare time changing out screws on my shop. Pisses me off !!!!!!! Now my cousin Randy is nobody’s fool – he was also a MEI slave back in the day (for a tale of a MEI slave, read here: https://www.hansenpolebuildings.com/2014/03/roof-sheathing-clips/). I think enough of Randy to have had him drywall my three story post frame shop back in the 1990’s. 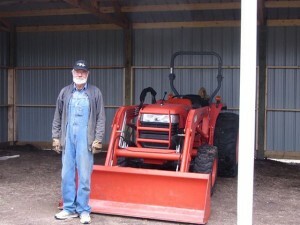 He also worked for me when I was building post frame buildings – running our skid loader to layout most all of our buildings and predrill the column holes for the crews. There isn’t most anything Randy can’t do (or hasn’t done} and do extremely well. Why a builder would do this totally baffles me, as stitch screws are not any less expensive (at least not good ones). Of course this building is over a year old, so the builder does not have to do anything about it, by statue! This is just one of a myriad of reasons people should, as often as possible, either construct a pole building themselves or have direct supervision of those who are doing the construction. Hiring a contractor or general contractor to construct your new pole building is certainly no guarantee of a job done right – just ask Randy! This entry was posted in Pole Barn Design, About The Pole Barn Guru, Constructing a Pole Building, Pole Barn Planning, Fasteners and tagged post frame building, building contractor, Hansen Pole Buildings, post frame shop on May 31, 2018 by admin. 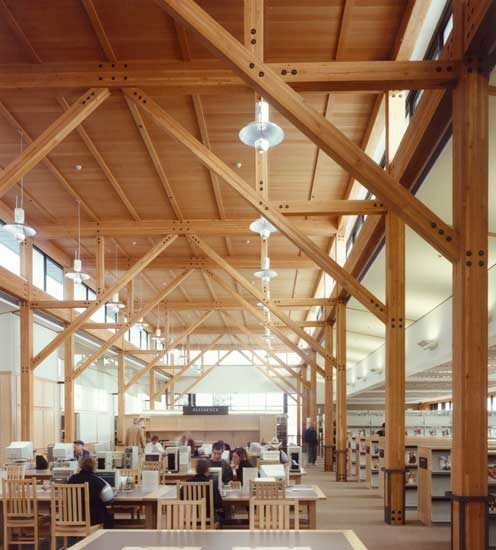 In Bend, Oregon, Hacker Architects, out of Portland, Oregon, designed a library with wooden beams similar to pole barns in the area. Hacker is an architecture firm which has designed over 30 libraries in the U.S. In my humble opinion, rather than trying to give the “feel” of a pole barn, libraries would be best served by the utilization of actual post frame design, which could result in savings of tens, if not hundreds, of thousands of dollars to the taxpayers. She said libraries are becoming less focused on books and becoming places for people. Old libraries used to be more like bunkers, but she said modern libraries have lots of windows to let in natural light. They also forge connections to the city and surrounding natural environment. Nearly all new libraries have interactive environments for children as well as versatile space for ‘tweens and teens. Libraries in the new style are “just really kind of vibrant, energetic places to be,” Klinger said. If your municipality is considering a new library, Hansen Pole Buildings would be more than interested in working with your architectural firm of choice to help best design a post frame library which best meets with the needs of the community while keeping a practical budget in mind. Post frame construction is Code conforming and allows for many unique architectural spaces to be created – including wide clearspans to provide comfortable open areas. Energy efficiency is growing more and more important. 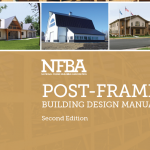 Post frame building systems allow for thick walls and roof systems to best utilize added insulation thickness – reducing the annual costs of maintaining any commercial building, not just libraries. This entry was posted in Pole Barn Design, Roofing Materials, Pole Barn Planning, Pole Barn Structure and tagged post frame construction, Hansen Pole Buildings, code conforming, Hacker Architects, Laura Klinger on August 31, 2017 by admin. Hansen Pole Buildings receives numerous requests every day from potential new post frame building owners, who are looking for a builder (in my terms technician) who can assemble their building kit. 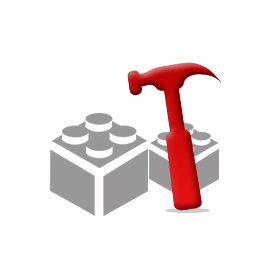 I am going to do both of us a favor and explain why we do not recommend any builders. Good clear agreements make for good neighbors. We do not want anyone to have their feelings hurt due to a misunderstanding. Upon request, once you have ordered your new post frame building kit package, we can assist you in finding the names and contact information of two or more possible builders who can construct within your predetermined budget – however it is totally your responsibility to vet them out. Here are the seven steps to not getting yourself burned by any contractor, follow these: https://www.hansenpolebuildings.com/2013/07/contractor-6/ and require a performance bond and you will greatly limit your risk of not getting the finished product you expected. 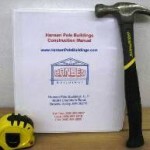 Here is Performance Bond information: https://www.hansenpolebuildings.com/2012/07/contractor-bonding/. 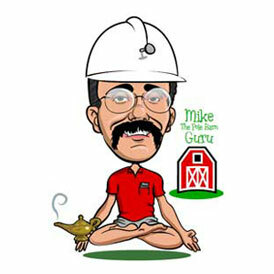 In a past life, I was a post frame building contractor based in the Pacific Northwest. We were blessed with many totally awesome subcontract crews who did great workmanship, as well as were good at building quality relationships with our clients. Even with these excellent crews, it seems like about once a year they would absolutely “hose” (technical term for FUBAR) a building. I’d ask them why and the answer was typically they had no idea, just that it went wrong. I share this because you might very well contract with the builder who has the best reputation for quality and has a fair price. Same builder could have one of those weeks coincide with your building and result in a less than satisfactory experience. We (and I) would prefer not to become a mediator for problems we had no hand in causing, even more so since we had no financial interest in the agreement between you and your builder of choice. 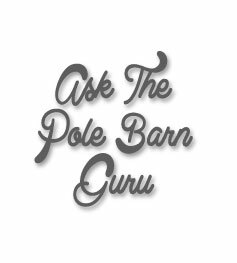 This entry was posted in About The Pole Barn Guru, Constructing a Pole Building, Pole Barn Planning, Building Contractor and tagged post frame building, building contractor, building kit package, Hansen Pole Buildings on June 14, 2017 by admin. At least here at Hansen Pole Buildings, we feel it is pretty dayem importantish!! And just how important, enough so the information on how to get unlimited free technical support is found on the second page of our over 500 page illustrated Construction Manual. No technical support is available through our Sales or Production Departments. Send an Email to TechSupport@HansenPoleBuildings.com. Include in Email: Project number, an accurate description of challenge, as well as a photo or photos if applicable. Purchasers of a technical support plan will be given contact information for our Technical Support Department. In the event a technician is not available when you call, leave a detailed message – which includes your project number. NO PROJECT NUMBER MEANS NO RESPONSE! All requests are taken in order received. Answers will either be emailed back (quickest), texted to your cell phone (please leave cell phone number and name of cellular service provider), or next available technician will return your call. Depending upon call volume, telephone calls will normally be returned the following business day. Keep in mind pole buildings are highly complex structures, involving thousands upon thousands of components. Our technical support staff may not have a solution to a particular challenge immediately. However, they will research the situation and respond with answers as quickly as is reasonably possible. Why not just let anyone answer technical support questions? Shouldn’t my Building Designer or the person ordering my materials have all of the answers? In a word: NO! We have highly skilled people in place to most expertly handle their portion of your post frame building project. Even though they might know the right answer – when contacted for a technical support question, it takes them away from the tasks they are most proficient at – which slows down the process for not only you, but also the rest of our clients. Rather selfish, isn’t it? Please let the people who have the expertise answer your questions. Why not do all technical support by phone? While you might fully understand your building and the particular challenge at hand, it is important to accurately convey what those challenges are – putting them in writing and including any relevant photos has proven to be best at avoiding miscommunications. We want to be able to give you the correct answers first time and every time. 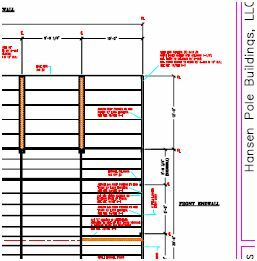 This entry was posted in Constructing a Pole Building and tagged construction manual, Hansen Pole Buildings, constructing a pole building on October 19, 2016 by admin. 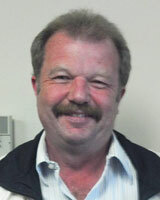 We’re proud to announce Wayde Staiger as April’s award winner! “My focus when working with a client is spending time finding out what is best for the them. Having a building which does not fill the need is of no value. Taking the time to work out the details is a major part of the project. Whether a consulting firm working on a 7 building municipal project or a customer looking for a horse stall and tractor storage they are all important as it does not matter how many I sell. It matters that their building is correct. Many times customers will have a basic design but not really know how to explain it, by asking questions and working together we can come up with a building that works. Explaining what the customer is getting for the money is most important as the initial quote from many is just a number, with buildings sometimes paying less is paying more. 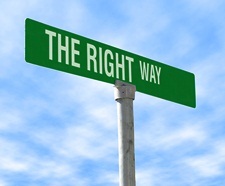 Let me explain that as the best price is not always the best long or short term value. With a building it is not “What you are getting it is what you are not getting” that makes the difference in the final finished product. Working with a consultant on a major project for the railroad in New York State. Starting with a basic rough outline they worked together to craft seven buildings designed to meet the end user’s needs. Taking the time to work out the details was very important on this project: fine tuning the sale, finding a builder and making sure details were correct. Another was for a customer building his dream shop. Making changes on door locations, getting the size proper not only to fit his needs but meet the property setbacks in dealing with the county. Taking the time and having patience was a big factor. 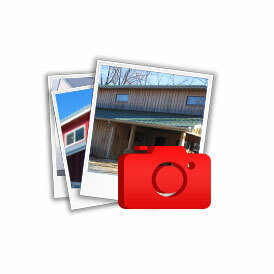 A different project was to a contractor who was building a viewing building for a horse farm. Their clients can watch horses work and perform in all kinds of weather as in western Washington the sun does not always shine. This building required a deck and many windows on the arena side of the structure. And lastly for a business which needed a covered area for a wash rack. This building was custom designed to set on concrete pillars so employees using fork lifts will not hit the wooden post structure. This entry was posted in About The Pole Barn Guru and tagged Hansen Pole Buildings, Hansen Pole Building Reviews on June 18, 2015 by admin. Being on the road roughly ½ of the year, I stay in hotels. A lot. Before booking my next room, I always try to get the latest skinny on reviews from TripAdvisor®. Once I get settled in, I also use the TripAdvisor information to help select eateries which are nearby. I do take reviews with a “block of salt” as when things go wrong (or the perception is they have gone wrong), as some folks can be quick to criticize. Like any review website, TripAdvisor tends to gather more negative feedback then real life – people who are happy generally tend to just bask in their happiness, unlike the Negative Nellies who want to share their grief with the world. As a business, we get a few of the Negative Nellies and Neds as well. I have had the pleasure of working with Wayde for the last 2 months trying to figure out what building I would end up getting. Size, doors, colors, etc; so many decisions to make. I got a few quotes from other companies (got a few from Wayde too as he will attest to) and even though Hansen Pole Buildings wasn’t the least expensive we chose Wayde as he has always followed up, always been available, eager to help and has given us confidence that he will be available for the pre-sale AND the post-sale. For us, the extra service was worth the extra money, and in a world that seems to offer very little customer service and quality I was pleasantly surprised while working with Wayde and Hansen Pole Buildings. I called Wayde this evening and ordered my 24×36 kit in Brick Red/White Trim, and cannot wait for it to arrive so I can get started. I felt it important to share with you the important role Wayde played in our decision, whatever you are paying him, it’s probably not enough. From one salesperson to another, thank you for employing quality salespeople to serve your customers! My encouragement, whatever the product or service is which you are or have received – say, “Thank you” an extra time. Tip generously, when appropriate. And, when expectations are met or exceeded, find a place (such as TripAdvisor®) to leave positive feedback. Amazingly, it’s often the positive feedback which fosters more improvements in service and products far more than the negative comments. This entry was posted in About The Pole Barn Guru and tagged Hansen Pole Buildings, business reviews, Hansen Building Reviews on June 13, 2014 by admin. Dear Guru: Should I Use Road Base Gravel? DEAR POLE BARN GURU:Hello, I see you are head quartered in Browns Valley MN, but do not have any Certified Builders in your home state. Why is this? DEAR READY: As Browns Valley is a border town, we are actually physically located in South Dakota – which is neither actually here nor there. Strangely enough, we provide more pole building kit packages the further we get away from our office – areas like Washington, Oregon, Colorado, New York and Pennsylvania have always been among the states where we seemingly deliver the most buildings. The why? Most future building owners in Minnesota (and South Dakota) seem to be more than capable of constructing their own buildings and prefer to do the work themselves. Whether you hire a builder or do the work yourself varies greatly from region to region. Hansen Buildings designs custom kits for the average homeowner to construct their own building. Our expertise is in getting you exactly the building you want and need, and not a “standard” or “canned” kit. We are not contractors in any state. If you are not so inclined, and need a builder, your Hansen Building Designer can assist you in finding one. DEAR POLE BARN GURU:I am now considering using road base gravel for the flooring, packing it tight with a plate compacter. I am told that our property taxes depend on flooring and if cement it is considered a “permanent” structure and taxed by its square footage, finished or not. If dirt or gravel it is simply an agricultural building and not taxed the same way. DEAR MEANDERING: I’d never make my choice of floor based upon whether or not I had to pay taxes on it or not. It should be based upon what is going to provide the most satisfactory surface – which is usually going to be a concrete slab on grade poured over a compacted base and a quality vapor barrier. In the event the choice ends up being road base gravel, I’d recommend having the top of the gravel even with the bottom of the pressure treated splash plank – because odds are good the concrete slab is eventually going to be desired. This entry was posted in Pole Barn Questions and tagged building contractor, Hansen Buildings, pole barn builder, Hansen Pole Buildings, concrete flooring, Pole builder, pole building floor on May 19, 2014 by admin. Everyone always wants to pay as little as possible, right? Well, maybe not. Wearing shoes right now? If so, look down at them. If they are a generic brand from a discount store, then maybe you are one of the few who fit into the always paying as little as possible group. There is a chance you might not be a match for a new Hansen Pole Building. I’ve had clients tell me my pole building price quote was lower than anyone else’s, and my response is always, “It was purely by accident, as our price should never be the lowest”. Historically we’ve found our clients will willingly pay more for our pole building kits than an “apparently” similar building from another provider. 1. Our buildings are easier to order. No futzing around with complicated purchasing and payment options. No need to even write out a check or address an envelope. We’ve streamlined the process of ordering, so everything can be quickly done online, from wherever you are absolutely comfortable. 2. Our buildings arrive more quickly. Just like me, once you make up your mind, you want it now, especially when it involves our hard earned money. We reward those who like quick gratification, with things like instant ability to review installation instructions online, online preview of personalized building plans prior to printing and the quickest delivery in the industry on 100% customized buildings. 3. We have “must have” features. Whether it is the ability to design buildings just the way you want for features, detailed full sized 24” x 36” blueprints, step-by-step complete instructions, or features such as insulation with adhesive pull strips, powder coated screws or our all but bullet proof commercial steel entry doors – chances are we have your “must have”. 4. Luxury Sedan at Two Door Pricing. When it comes to value for the dollar spent, our clients will tell anyone their new Hansen Pole Building was it. No other building compares to the strength and might of a Classic Hansen Pole Building. 5. Lower Cost of Ownership. It’s not all about the price…it’s about the time and money you spend after you purchase. Sure we have more expensive, stronger components and better warrantees (find another other pole building kit package which offers a limited lifetime structural warranty), but how much does it cost to replace an entry door when the wood jambs fail, or the door rusts out due to being only primed? Or worse, vandals kick it in and you lose irreplaceable valuables? We understand the anger (or even hatred) buyers feel when they experience horrible customer service. We looked for JD Power and Associates Award winning performance in handling online accounts, found it and adapted it specifically for the post frame industry. Easily accessible 24/7 from any computer or Smartphone. Calling in? It is ALWAYS “A Great Day at Hansen Pole Buildings”. 7. The price difference isn’t worth the hassle. Ask any other pole building kit to provider to match all of the Hansen Pole Buildings’ features and benefits exactly – there is not a single one who can. Even though we may be a few dollars more on the investment side, because the competitor’s quality was lacking, the price difference isn’t worth the hassle. Your time is too valuable, when we will guarantee the best price for quality – every time. Face it, we are all human and humans prefer doing business with their friends. If you are one of the approximately 30,000 people who read this blog five days a week, I count you among my friends. You friend us on Facebook and read our tweets on Twitter! 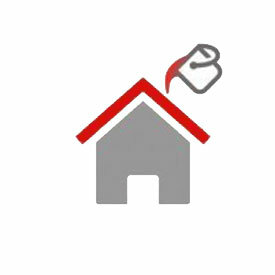 We are personable, because we care – to us, it is all about you and your new building! This entry was posted in Pole Building Comparisons and tagged Hansen Pole Buildings, pole barn price, pole building cost, pole building price on December 19, 2013 by admin.